Despite being a huge fan of TheBalm, I had never owned S3xy Mama, Hot Mama (blush) or Bahama Mama (bronzer) until I got this for my birthday in April. 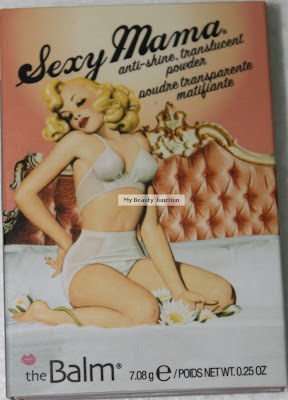 S3xy Mama Anti-shine Translucent Powder has become my HG mattifying powder. 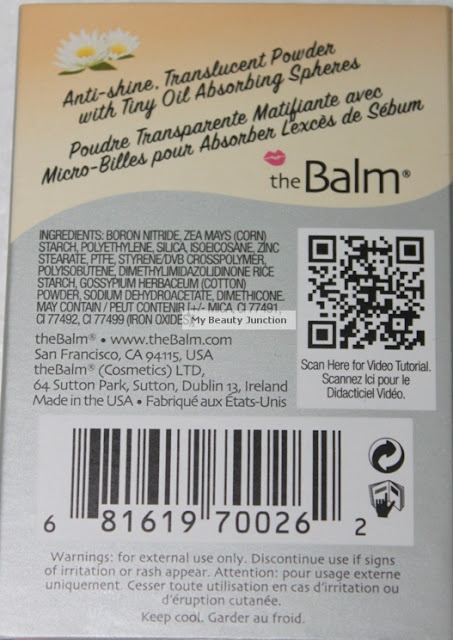 Packaging: I can't tell you how much I love TheBalm's packaging, and this is no exception. This comes in a cute retro cardboard case with a mirror. While googling it, I found some of the pictures online slightly different - the logo below the compact being a bit off centre scared me so I shot off an email with half a dozen photos to TheBalm. Christina from TheBalm got back to me almost at once. She instituted inquiries - at first it looked dodgy, and I was gutted, but she got back last week saying it is absolutely genuine! There are batches with off-centre logos and the code at the back proved it belonged to said batch. Whew. Formula: The product looks a bit textured...fabric-y? (see above photo). And it contains corn starch. It comes out a lot more finely milled than expected. Definitely not gritty. Applicator: None. They couldn't have squeezed one in there! Staying power: Excellent. I need one touch-up, by midday, and I'm matte till the evening. 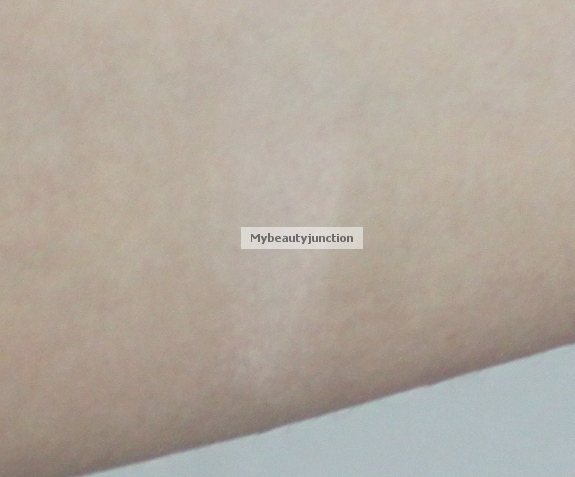 Also functions as a flawless setting powder for liquid makeup (I've tried it over Clarins Everlasting, just moisturiser and primer across brands, Estee Lauder Double Wear and Benefit Hello Flawless). No caking noticed despite regular use. Shade/Colour: No shade name; it just says translucent. 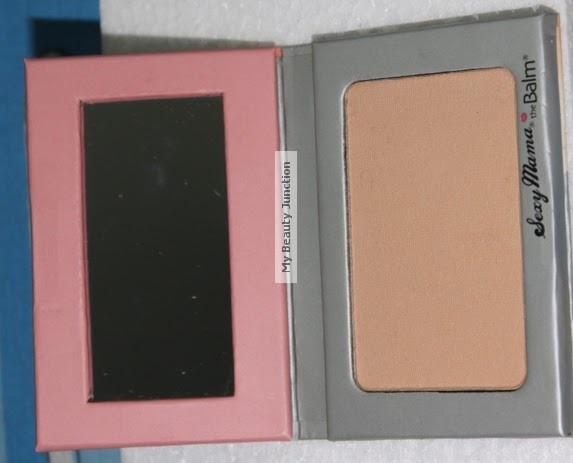 The powder is universal and should suit all skin tones - ignore the with-and-without flash photographs of the compact. I had to swatch a couple of times for it to show up in the picture; it is very translucent. Would I repurchase? Yes. Does a great job in mattifying my face (which produces enough oil to run a continent for a decade) for longer than any other powder till date. Available here. 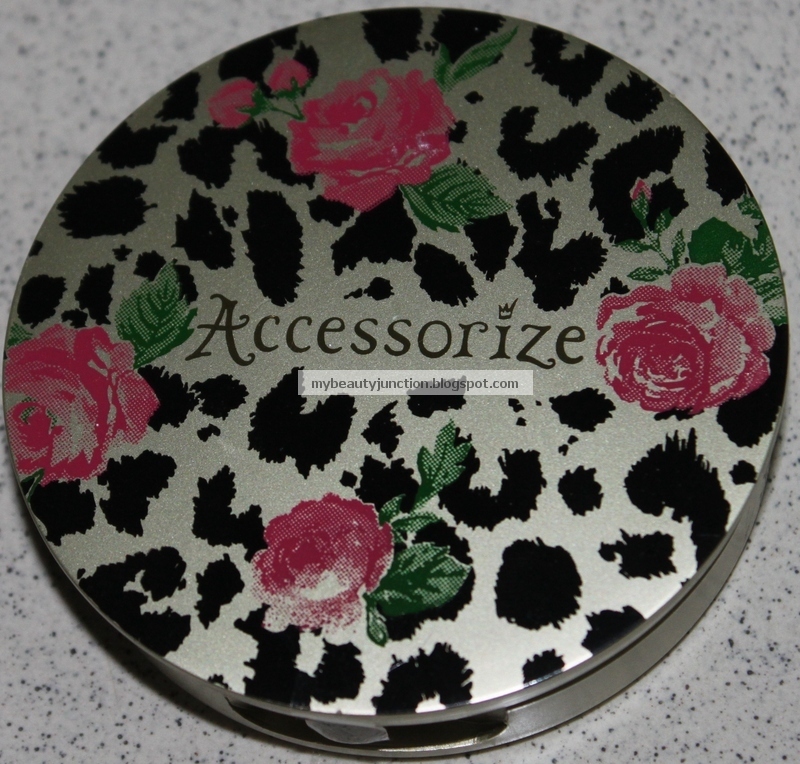 I was going to do a review of the Accessorize Mattifying Powder, which I bought because of the stunning packaging. But it comes out so off when compared to TheBalm that I'll give the review a miss and just recommend it for Halloween. Disclaimer: Nope, not PR or sample.